10/1 Darts Accumulator Lands on Wednesday Night! The winners in November keep on coming here at FST. Our latest success came at the Grand Slam of Darts from Wolverhampton, here’s how our 10/1 winner went down. Simon Whitlock beats Peter Wright 10-6 to land our final leg! A great way to end the night! The first leg of the accumulator featured a match between Gerwyn Price and Josh Payne. Price had been playing well recently, and we fancied the Welshman to overcome a -3.5 leg handicap and progress to the quarter-finals. Things didn’t look to be going well when Payne broke Price’s throw to take a 3-2 lead early in the encounter. However, the enigmatic Welshman broke straight back thanks to a double-top finish and a 13-dart leg. With the next four legs going with throw the players went into the break with the match finely poised at 5-5. We needed Price to come out after the break all guns blazing, and he didn’t disappoint, winning the next five legs on the spin and winning the match 10-5. 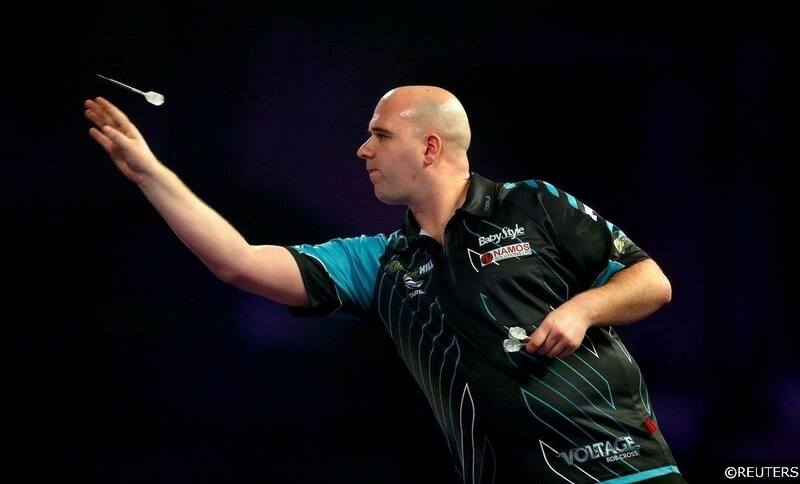 The second leg saw Rob Cross take on Mensur Suljovic, and with neither player really standing out in recent weeks we fancied this match to be a close one, with over 16.5 legs our selection. It was Suljovic who started the stronger of the two, he broke the Cross throw twice and took a 5-1 lead early in the contest. We needed the World Champion to fight back, and some decent scoring from Cross saw him get the match back to 5-4. The game ebbed and flowed for the next few legs with neither player able to gain complete control, and when the scoreline was 8-7 in Suljovic’s favour, we knew our bet had landed. Suljovic went on to win the game 10-7, and will now play Dimitri van den Bergh in the quarter-finals. The final leg of our accumulator was a match between Peter Wright and Simon Whitlock. ‘Snakebite’ was a strong favourite for the match, but Whitlock had been showing better form in the last few weeks so we sided with the Australian at odds of around 7/4. The game got off to a steady start with the first five legs all going with throw, before Whitlock took out double-16 in the sixth to get a crucial break of throw and lead 4-2. Both players held their throw for the next five legs, but with the score at 7-4 to Whitlock, Wright failed to take out 32 to reduce his deficit to two legs. Whitlock stepped up to take out 65, which he did with two clinical darts. At 8-4 the game looked to be over, but Wright fought back and won the next two legs reducing his deficit to 8-6. However, Whitlock was not to be denied a quarter-final spot, he held throw with a solid 15 dart leg, and then broke Wright once more to wrap up a deserved 10-6 victory and complete our 10/1 accumulator win. We have Darts accumulators for all the big events so make sure you bookmark our Darts Tips page as we head towards the World Championships. Categories: Darts, Free Tips, and Tip Results. Sports: Darts.